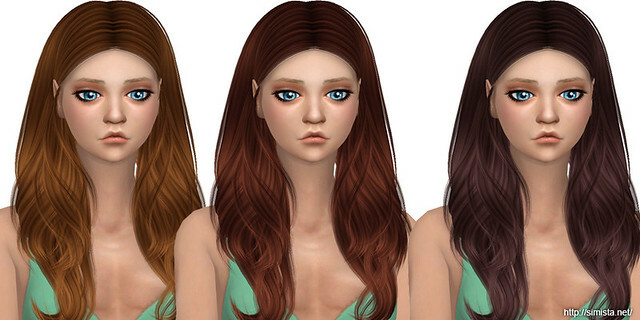 This hair just looked super cute on my little sim Isabella so I retextured it in my textures/colours. Mesh by Ade_Darma NOT included, Download here. I downloaded a few of your hairstyles and noticed that they don't work. When you pick the hairstyle it puts a weird buzz cut on the head and a shadow on their forehead. Just thought I would let you know if you were not aware. This happened to my friend that I sent to your site as well. She only has the base game but I have at least 5-6 of the expansions.